Here's a list of typical products for a 5" k style galvanized gutter project. 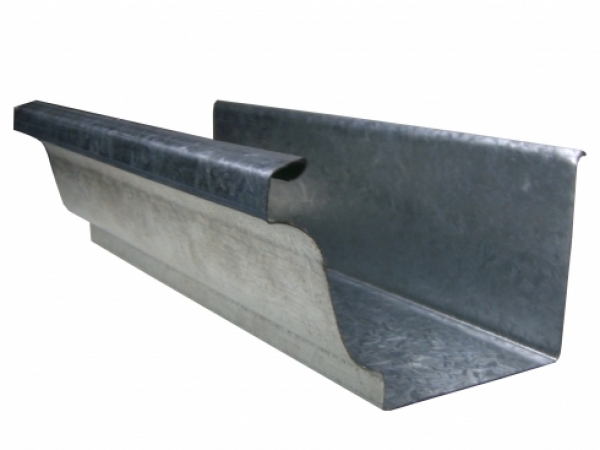 We have a complete line of galvanized gutters and related supplies. If you don't see what you are looking for on the list below, please give us a call and we'll help you find what you need! Follow the link to shop for Galvanized Sheets. Follow the link to shop for additional Galvanized Offsets. Follow the link to shop for Round Downspout Hooks. Follow the link to shop for Soldering Kits, Hand Irons & Soldering Accessories.